After going through as many spiritual books I could, the one I really wished for still had to come...and here it is - clear and simple. A huge amount of work went into boiling it down to the nitty gritty. 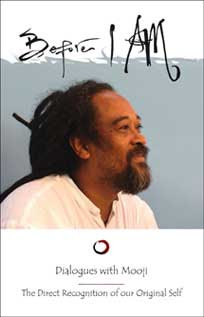 My wonderful mooji book arrived today and I am already rapt in what it contains. This book's words are direct but gentle, and very very triggering. Triggering a deeper awareness of who is feeling this, who is enquiring about that.. thank you Mooji for writing this wonderful book. The most powerful, crystalline, beautiful expression of truth I have ever encountered. Maharshi has at last found a successor.